When you are facing financial stress then there can be a number of things that add to that stress as you try to resolve any issues. One of the biggest fears facing people experiencing financial difficulty is the prospect of losing their home to repossession, also known as foreclosure. When the dreaded thought of foreclosure enters your mind it can feel paralyzing. However, there are ways to stop the foreclosure process even if it has already started. The important thing to remember when foreclosure is being discussed is to remain calm. Foreclosure is a last resort for lenders and that gives you plenty of opportunities to evaluate your options and make the right decision for you and your family. Let’s examine the foreclosure process a little closer and then discuss how to avoid repossession of your home. Foreclosure is a scary word for those who do not fully understand the process. While the potential of losing your home to repossession should not be taken lightly, it’s important to know that there are always options on the table which allow you to avoid repossession. A better understanding of the foreclosure proceedings can give you a sense of the timeline you are facing and allow you to plan accordingly. 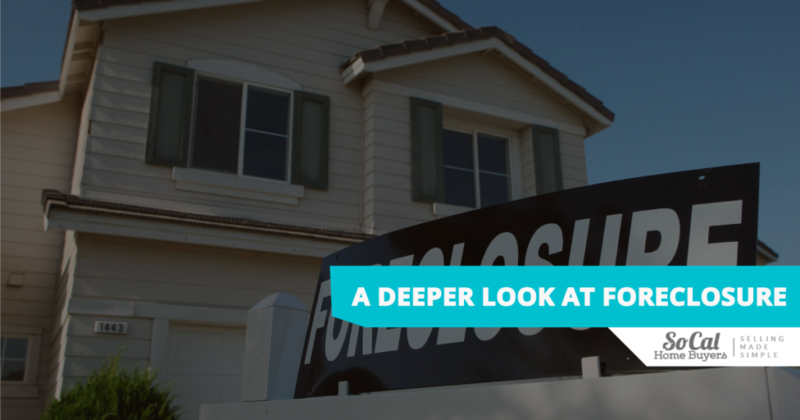 For most people, the foreclosure process does not come as a surprise. Banks and lenders will often reach out and make contact after payments have been missed. They may discuss changing payment dates to better align with paydays or other debt obligations. In some cases, lenders will even allow you to defer a number of payments to get back on your feet. After all of those options have been exhausted, lenders will pursue repossession of the property. Repossession cannot happen overnight. There is a specific process that lenders must follow if they wish to foreclose on a home. In California, there are a minimum 120 days required for the foreclosure process from beginning to end. In many cases the foreclosure process could stretch well beyond 120 days as lenders attempt to work with the borrower. The first sign that the foreclosure process is beginning is a Notice of Default. This officially notifies the borrower that they are outside of the established payment timelines and indicates the lender is willing to move ahead with repossessing the property. A minimum of 60 days must pass before further action can be taken. If you receive a Notice of Default you should reach out to your lender to understand the situation more clearly and see if they are open to negotiation. Next, the lender will issue a Notice of Sale. If payments on the loan have not been brought up to date after the Notice of Default, then the lender will begin to move ahead with the repossession and sale of the property. Usually these properties are sold at a public auction and lenders must advertise the auction in a local publication. A minimum 20 days must pass before the sale can move ahead. Finally, the lenders will sell the home and the defaulting borrower will be forced to leave. California law gives occupants a reasonable amount of time to leave the property with their belongings. After the home has been sold the foreclosure process is complete and there is no reversing the sale. If you wish to avoid foreclosure then you must find a solution prior to the sale date. 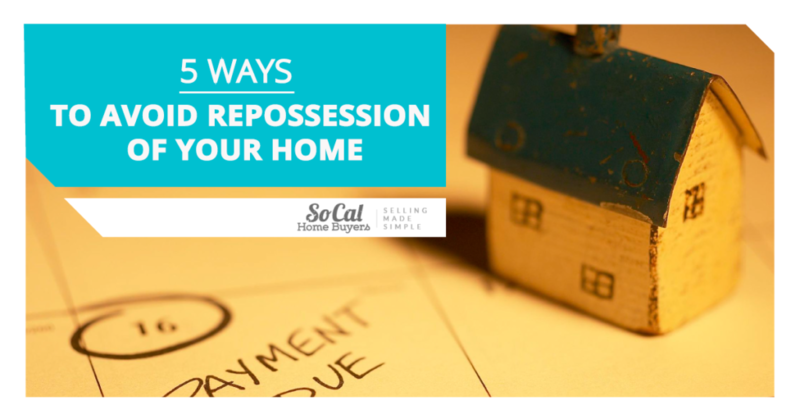 Now that you have a better understanding of the process, let’s look at how to avoid repossession of your home. As mentioned, lenders use repossession as an absolute last resort when other options have tried and failed. Lenders may be willing to negotiate with you to help you remain in your home and avoid repossession. Why would they do this? It is estimated that the foreclosure process can cost upwards of $70,000. While the lender may recoup some costs from the home, they may be facing losses even after repossession and sale. It makes sense why a lender may be willing to negotiate in order to help you get back on track with your payments. Forgiving some missed payments or restructuring the loan to better suit your needs are just two options available to lenders. If your lender can avoid going through the entire foreclosure process then they will make every effort to do so. Of course, if your life situation has changed drastically and you cannot afford your payments even if they are restructured then negotiating may not yield the results you are looking for. In any case, it is still advised to sit down with your bank and see if they have any options available to assist you. At the very least you can cross one solution off of your list. This solution does not necessarily avoid the foreclosure process but allows everything to move ahead unimpeded. For some, dealing with foreclosure may not be something they are ready to take on in their lives. This is especially true for those who may be dealing with loss or medical issues. Adding the stress of trying to manage the foreclosure process can be too much. This is not an advisable solution and should probably be your absolute last resort if no other options work. While you may avoid the stress of dealing with foreclosure, the process still moves ahead and the end result is the same. By surrendering your home to your lender you are eliminating all options on the table. The short sale process can be long and complicated but it may be a great solution for some people who wish to avoid repossession of their home. A short sale is commonly used in situations where the loan is considered underwater. That is when the value of the home is less than the amount owed on the home. You cannot simply decide to short sell your home without consulting your bank first. They must allow you to move ahead with a short sale and approve the new buyer as well. There are specialized short sale real estate agents that can work with you through this process. If the buyer is approved then the bank will receive the proceeds of the sale and usually forgive any remaining balance. As mentioned, the process is long and complicated. If a buyer is not approved then you must find another buyer. All of this must be done with the threat of repossession looming overhead and timelines in place. For some, the short sale process simply takes too long. If at any point in the foreclosure process you are able to bring the loan up to date then the foreclosure will stop immediately. Of course, this is much easier said than done. Finding enough money to catch up on missed payments isn’t as easy as simply waving a wand and making a wish. However, people often forget about things like tax returns. If you have money due back to you from taxes then that could be used to help make payments on the loan. Selling things like additional vehicles or dipping into savings may also help bring the loan back up to date. Finding this money may be difficult – but it is one of the only ways to avoid foreclosure and remain in the home. If you are committed to staying in the home then you may have to make some difficult choices regarding your finances. Always consult a trusted expert before making any major decisions. With foreclosure you are on a timeline that is largely dictated by the bank. In many cases you do not have time to find short sale buyers or wait for tax return season. The fact is that many people facing repossession of their home simply want to avoid the process and move on with their lives. This is where a real estate investor can play an important role. Real estate investors will pay cash for homes with fast closing times. This can allow you to avoid foreclosure and get a fresh start without foreclosure or bankruptcy showing on your credit report. Of course, if you sell you will have to leave the home which is not an easy decision to make. 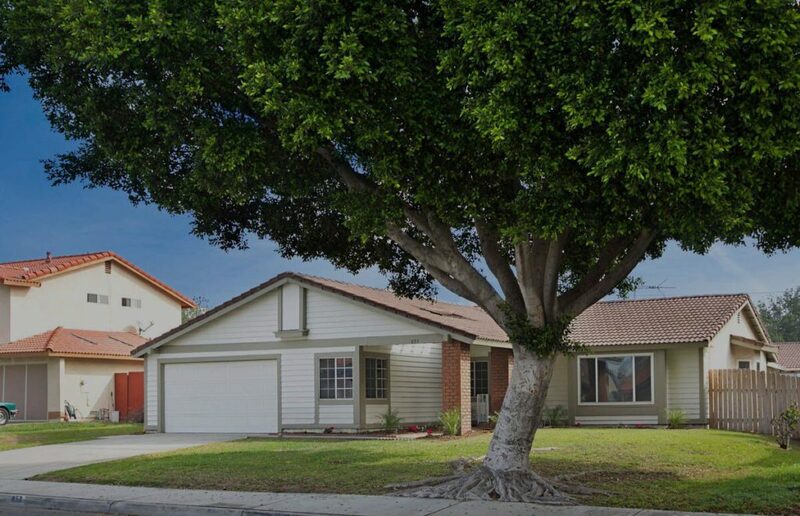 Companies like Southern California Homebuyers offer quick sales paid with cash or a bank draft. That money can be used to pay out the loan with your lender and move on with a fresh start. The most appealing part of working with a real estate investor is that they understand the timelines you are working within. Unlike traditional homebuyers, real estate investors have funds on hand and rarely impose time consuming conditions that may delay the sale. Now that you know how to avoid repossession of your home it is important to weigh all of your options and find the right one for you and your family. Consult trusted experts and reach out to people who may be able to assist you through the process. Foreclosure is not an overnight process and it is not the end of the road. You still have options but you must take action.